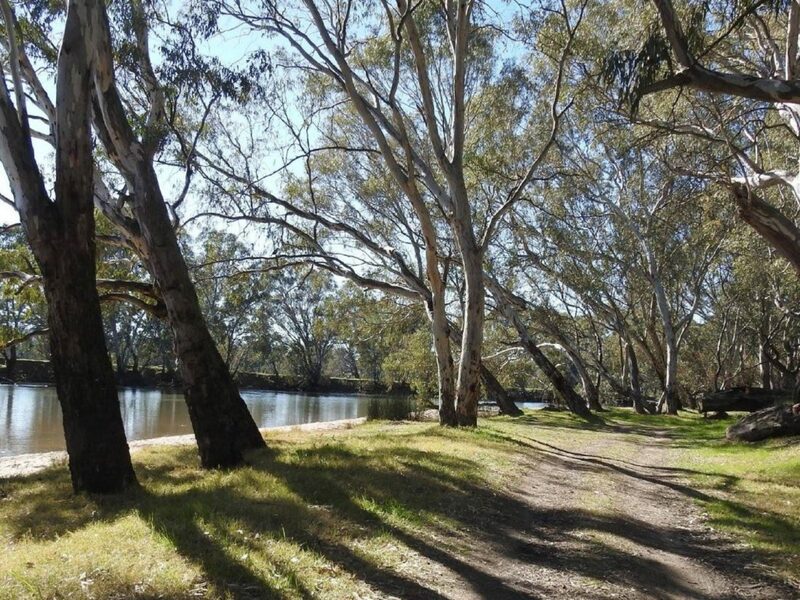 Situated on the banks of the Murray River surrounded by extensive open floodplain forest – River Red Gum, billabongs and swamps. Riverside access beyond the first site may be difficult for larger rigs. A relatively large reserve but with a limited number of riverside sites. Directions: From the Hume Fwy, turn north onto Old Barnawartha Road driving for about 9.4 kilometres then turn right onto Kings Road, travel northward towards the Murray River to reach Richardsons Bend. Note: May be subject to road closure between the Queen’s Birthday and Melbourne Cup long weekends.